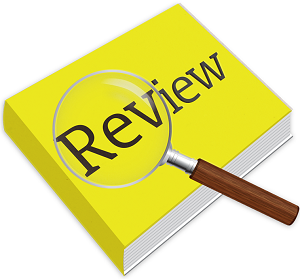 Article review aims to both summarize and evaluate an article written by another writer. It should begin with the most basic information about the article and the author’s primary goal. Then a brief overview should be included in order to present the overall informational content without delving into details. The main part of the article review is a critical examination of the most important arguments. The last paragraph is a final assessment of the article credibility, relevance, and contribution to one’s knowledge. Article review example is provided to exemplify how all of these essential steps may be taken in practice. Jane Gallop’s article “The Ethics of Reading”, published in the Journal of Curriculum Theorizing, aims to explain how close reading may enhance one’s understanding of various texts. The author further uses this information to address the problems of today’s education, claiming that it teaches children to read but fails to instruct how reading should be done. Finally, the article discusses how more effective reading may improve one’s writing skills. One of the most convincing arguments in this article is that the commonly accepted approach towards reading is ineffective. According to Gallop, this approach relies on seeing a text as the overall picture but omitting smaller details at the same time. Through a well-structured discussion with an addition of several examples, she shows that texts consist of seemingly insignificant fragments which can make sense only when they are put together. Therefore, it may be elaborated that readers are not able to distinguish which fragments are important for their understanding and which may be easily dismissed. So, close reading may be a more efficient method because it allows to notice everything step by step, and thus to see a larger picture. However, Gallop does not mention that this method requires more time than usual reading, although this is a considerable obstacle, which often encourages people to skip not only details but whole sentences and paragraphs as well. Nevertheless, her argument is not undermined by this omission. Her explanations clearly show that usual reading does not save time but requires more hourage instead when readers are forced to re-read texts in the search for the missing fragments. When Gallop explains how close reading can improve one’s writing, her main point is that this reading method helps to become more objective. In order to support this point, she builds a rather elaborate but still comprehensive argument about the ways in which people project their own thoughts and beliefs onto original texts. She provides examples of how literary critics interpreted classical works through the lens of their experience and prejudice, thus seeing support for their views in the texts which were centered around obviously different ideas. The article proves that readers are always subjective and their understanding largely relies on their personal interpretations. Gallop suggests that close reading may solve this problem because it helps to concentrate on what authors intended to express through their works. However, since a comparably larger part of the discussion is dedicated to the subjectivity of reading, it is easy to lose the main topic of the article. This flaw slightly decreases Gallop’s persuasiveness. All in all, this essay succeeds in proving its main claim through a well-structured and detailed discussion. Because the author relies on examples from literature and her own teaching experience, she is able to provide her arguments with support and credibility. Mentioned long-term and short-term benefits of close reading contribute to the overall informational basis in the field of education, thus showing new ways of effective learning. This review has been written by WorldEssays.com writers. Beers, G. K., & Probst, R. E. (2012). Notice & note: Strategies for close reading. Heinemann. Feaman, L. (2014). Unlocking close reading. Eau Claire, USA: Capstone. Gallop, J. (2011). The Ethics Of Reading: Close Encounters. Journal Of Curriculum Theorizing, 7-17. Lemov, D., Driggs, C., & Woolway, E. (2016). Reading reconsidered: A practical guide to rigorous literacy instruction. John Wiley & Sons.